At Lenstore.co.uk we are passionate about helping customers look after their eyes. As a Lenstore.co.uk customer you can enjoy a comprehensive range of Vision Care Services as well as great value and fast delivery on your contact lenses. Customers who buy prescription contact lenses from Lenstore.co.uk can also benefit from free appointments at over 390 Vision Express stores. 1. They will check whether your eyes are healthy when wearing contact lenses and make any changes that may be needed to your contact lens prescription or lens type. 2. They can provide a full contact lens fitting and take all of the necessary measurements to ensure you have the best contact lens for you (Contact lens trials can be provided if necessary). 3. 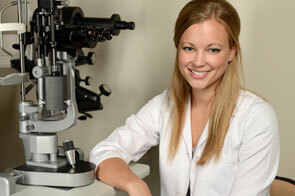 Vision Express staff will take digital photographs of the back of your eyes. This can help your Optometrist detect signs for a number of medical conditions. 4. A full eye test will also be carried out to check the overall health of your eyes and update your glasses prescription (including a visual field and pressure test if necessary). As a Lenstore.co.uk customer, you will also receive £30 off your purchase of prescription glasses or sunglasses. Experienced in-store staff will be on hand to help you select the right frame for you. Lenstore.co.uk provides ongoing care and advice for all of your eye care needs. If you have any questions or need any advice a member of our clinical team will be more than happy to help. This offer is subject to important Terms & Conditions. By requesting a free appointment, you confirm your acceptance of these Terms & Conditions.